I have updated my etsy shop with some sale sets. 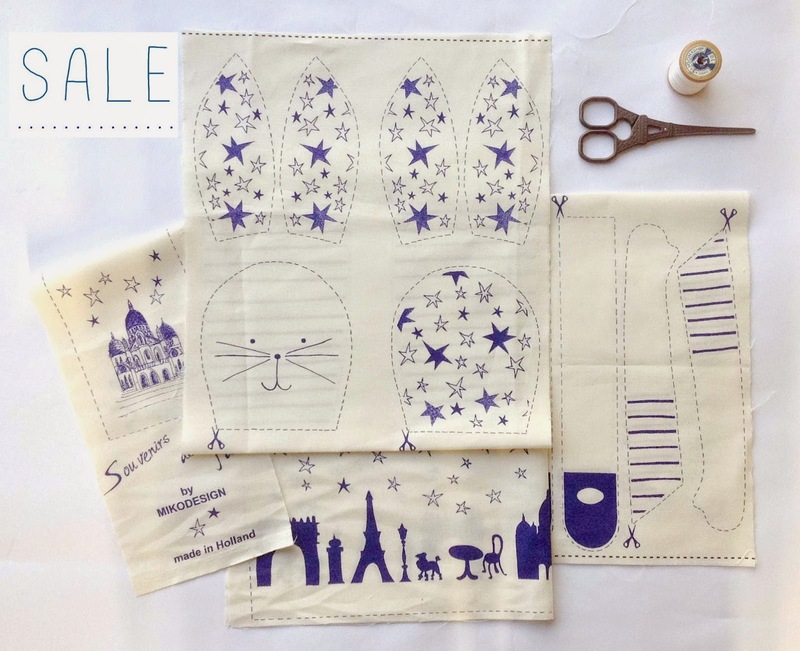 Sets to make a paris rabbit or doll and Frida for a reduced price because they are end of the roll pieces or have very small faults. you can find the sets in my Etsy shop here.